The Fujifilm Instax Square SQ6 is perhaps my favorite Instax camera of theirs made thus far. 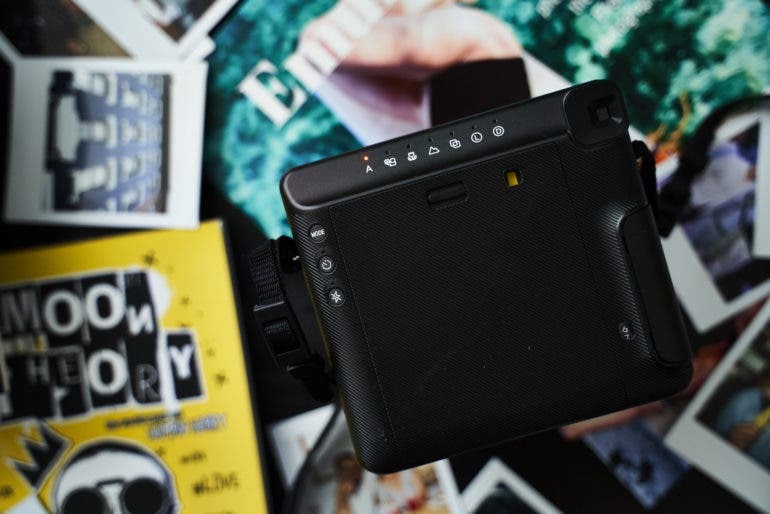 With the Fujifilm Instax Square SQ6’s arrival on the scene, Fujifilm I feel has created a respectable Instax Square camera. When the SQ10 was released, I was very hesitant. I’m not a fan of a digital photo being printed onto an Instax frame from the camera. By and large, I prefer full pass through of light through the lens to the film plane. Somehow, Fujifilm was able to create it in a compact form factor that is also very stylish. 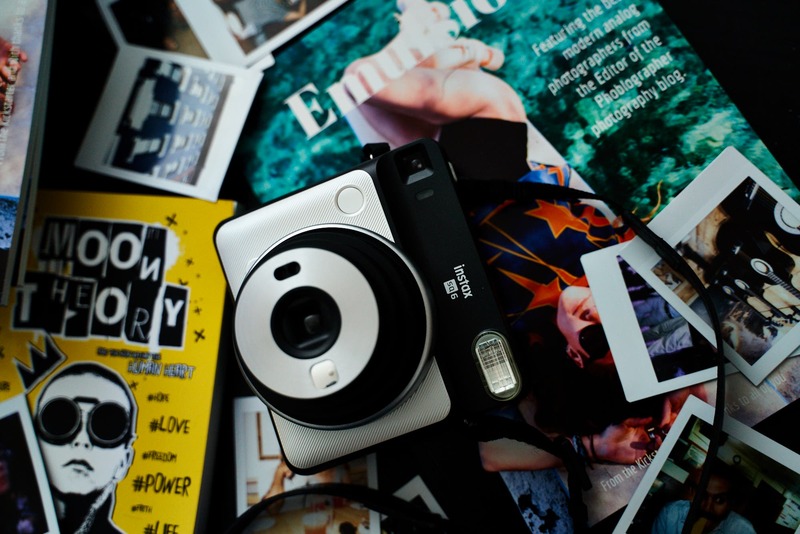 In many ways, the Fujifilm Instax Square SQ6 is what the Instax Mini 90 is but with the Square format. In comparison to the Lomography Lomo’Instant Square camera, I’ll round up my comparison thoughts very quickly before I get into the review. Fujifilm’s isn’t as stylish as Lomo’s. 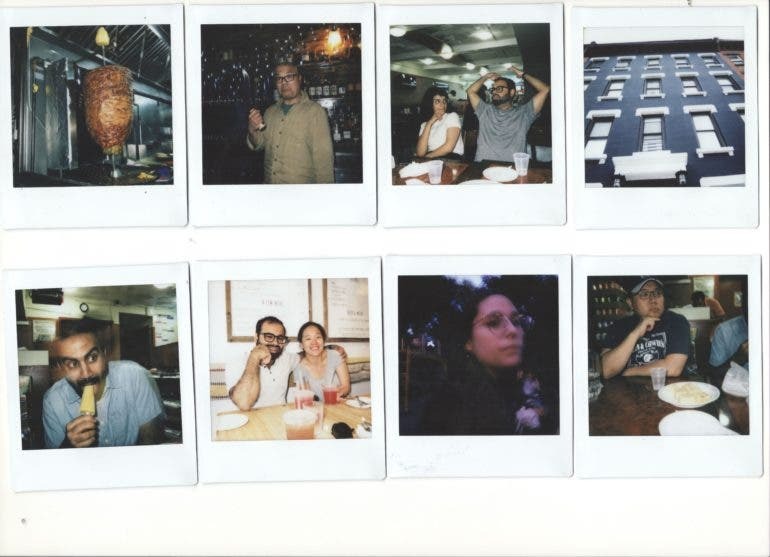 We tested the Fujifilm Instax Square SQ6 with Fujifilm Instax Square film, obviously. Available in three colors, Pearl White, Blush Gold and Graphite Gray. Compatible with FUJIFILM INSTAX SQUARE film (purchased separately). Picture size – 62mm x 62mm/2.4in. x 2.4in. Retractable lens, 2 components, 2 elements, f = 65.75 mm, 1:12.6. Inverted Galilean finder, 0.4 x, with target spot. Three motor driven focus modes: Macro Mode (0.3m – 0.5m/1ft. -1.6ft. ), Normal Mode (0.5m – 2m/1.6ft. – 6.6ft. ), Landscape Mode (2m/6.6ft. and beyond). Programmed electronic shutter release, 1.6 sec – 1/400 sec. Automatic, Interlocking range (ISO 800): LV 5 – LV 15.5, Exposure compensation: ± 2/3 EV. LED display with Shooting mode (auto, selfie, macro, landscape, double exposure), brightness adjustment, flash suppressing and self-timer mode. Two CR2/DL CR2 lithium batteries. Capacity: Approximately 30 INSTAX SQUARE 10-pack film packs with new CR2/DL CR2 lithium batteries. Tripod socket (tripod sold separately). 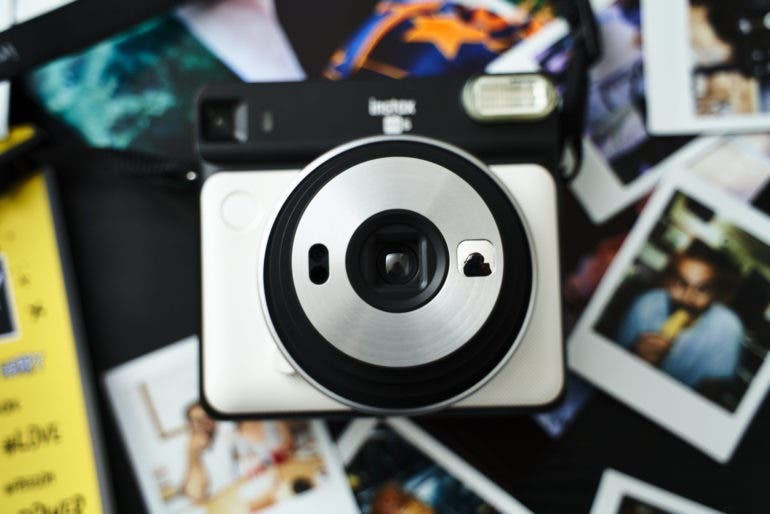 With the Fujifilm Instax Square SQ6, you get a camera in the square format that looks a whole lot like the Instagram logo. Except in this case, it’s far better looking. There is a mirror on the front for selfies, the big lens, the flash, the shutter button and the viewfinder when you look at the face. When the camera is activated, the lens enlarges itself and pops out a bit. This is standard for these types of cameras. On top of the Fujifilm Instax Square SQ6 is the power switch. Additionally, here is where you’ll get your square prints. DON’T EVER PULL THEM OUT WHILE THE CAMERA IS PRINTING THEM! On the back of the camera you’ll find the control buttons. The only three controls are on the left side. The top will tell you what’s currently set. 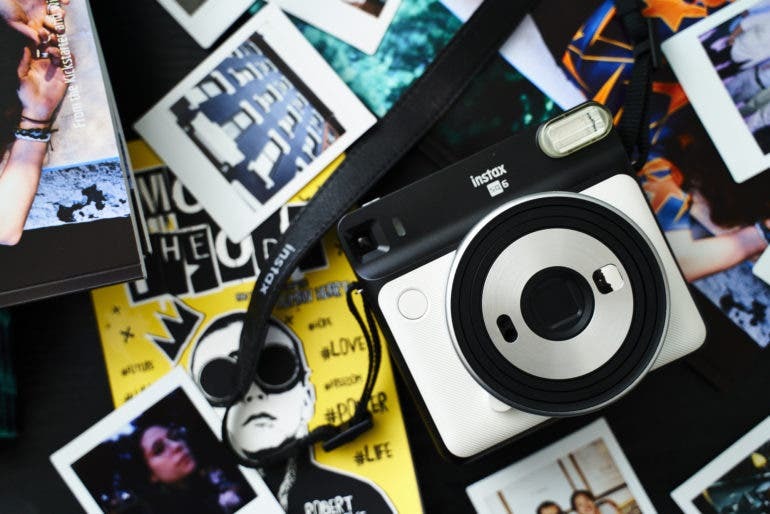 The Fujifilm Instax Square SQ6 feels substantially better built than Lomography’s offering. Part of this is due to no bellows being incorporated into the camera body. However, Lomo’s Lomo’Instant Square has a sharper and much better lens. The Fujifilm Instax Square SQ6 feels right about up there with the build quality of most other Instax cameras. I wouldn’t take it out into the rain and I’d be careful about using it at a party lest someone spill their expensive glass of Japanese whiskey all over your fairly priced Fujifilm Instax Square SQ6. Using the Fujifilm Instax Square SQ6 is pretty simple overall. There is an on/off switch on top of the camera and then the other controls are on the back. You’ll see how to set it to macro, cloudy, use exposure compensation, etc. Just as long as someone really learns the few symbols, they’re not going to have much of a problem using it. Fujifilm should incorporate this into a manual that is just as fun to read as the camera is to use. That’s where they sort of lack. Focusing with the Fujifilm Instax Square SQ6 is done automatically via zone focusing. But if you use the other modes on the camera, it will fix the focusing. Again, you’ve got a lens with an aperture beyond f12, so you won’t really need to worry all that much. Focusing with this camera isn’t as user defined as it is with Lomography. Lomo lets you set your focusing manually while with Fujifilm you have preset options. The Fujifilm Instax Square SQ6 has a lens with plastic elements. It lends itself to really fun, lo-fi images. But for what it’s worth, I really like the image quality that Lomography gives me more. However, the certain nostalgia factor that you get with the Fujifilm Instax Square SQ6 is surely there. The Instax Square format is really big and so to that end, everyone is perceived as thinner due to how the optics work. It’s hard for someone to look bad with this camera even if the images are blurry due to camera shake with a slow shutter speed. 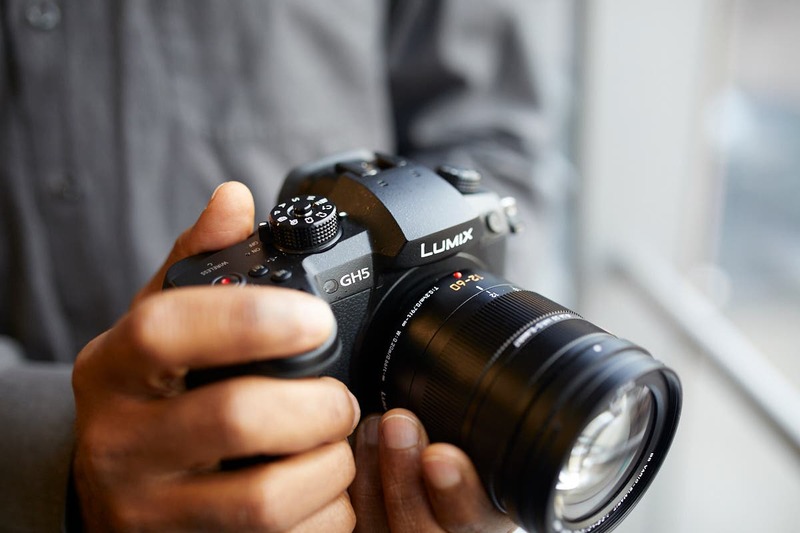 For only a bit less than $130, you’re getting a solid camera. I like it. It’s plain. It’s everything most people will need. I really wish that there was an option with full manual controls, but there isn’t. 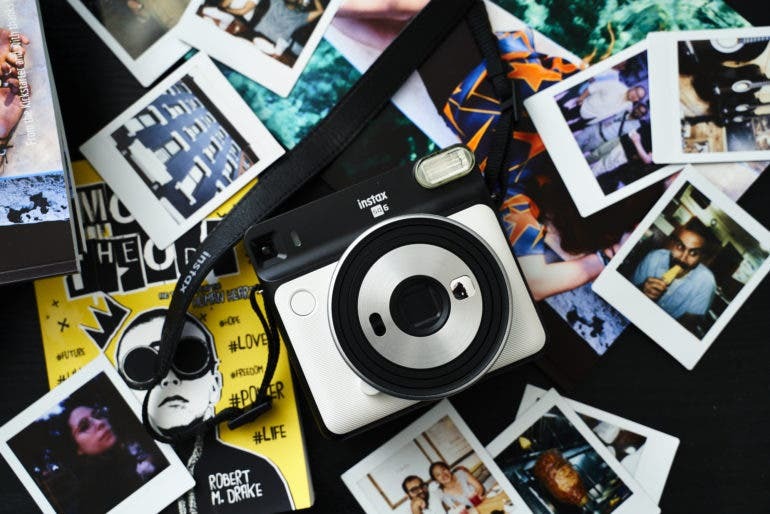 However if you just want something for fun, the Fujifilm Instax Square SQ6 is the way to go. 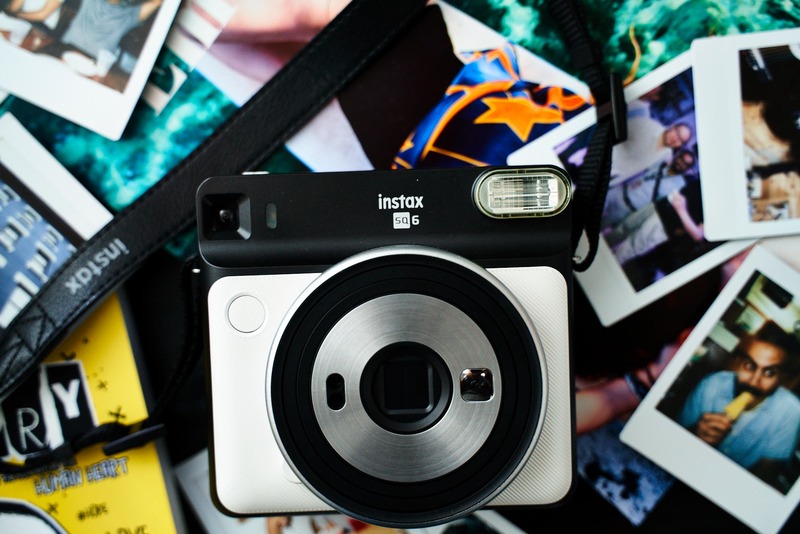 The Fujifilm Instax Square SQ6 receives five out of five stars.